I’m sharing my top 5 tips for how to make the most crisp, flavorful waffles for breakfast or brunch. These are great topped with butter, maple syrup, fruit compote, and more! Did you ever eat those frozen pre-packaged waffles growing up? I did. And I almost can’t believe I did. They’re quite a far cry from the crisp, thick, flavorful waffles I now make at home for brunch. Even though my waffle standards started out with the soggy, spongy frozen variety, I’ve gotten very demanding about how a waffle should be. A waffle should be crisp on the edges but a little fluffy in the middle, with good flavor, and doused in real maple syrup (though admittedly that last part has nothing to do with technique). There is only one exception to this: Chef Capon’s Bacon Cheddar Waffles, which are neither crisp nor should you put maple syrup on them, but are insanely delicious. After experimenting with various waffle ingredient combinations, I’ve discovered there are 5 major secrets to a fantastic waffle. When you beat egg whites to stiff peaks, they hold in a TON of air (think about what’s going on with souffles). 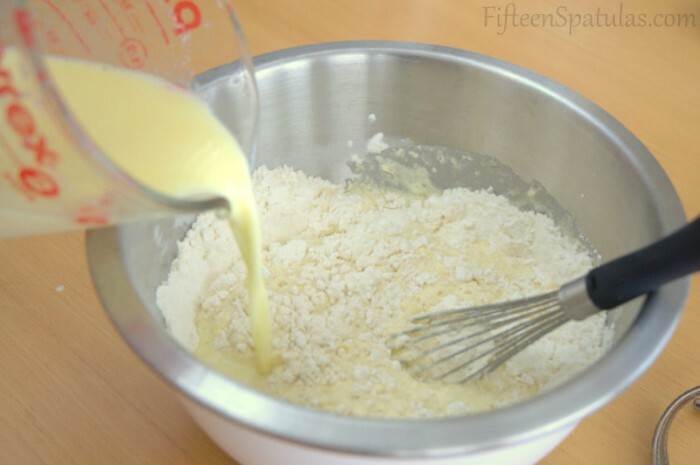 Incorporating stiff egg whites into your batter makes the waffles incredibly light instead of heavy and dense. 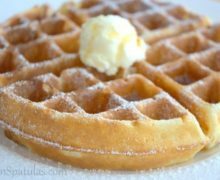 I first read about adding cornstarch to waffles after someone sent me Pam Anderson’s recipe, and the thought of adding cornstarch really surprised me. I went in skeptical but after testing it out I was convinced. 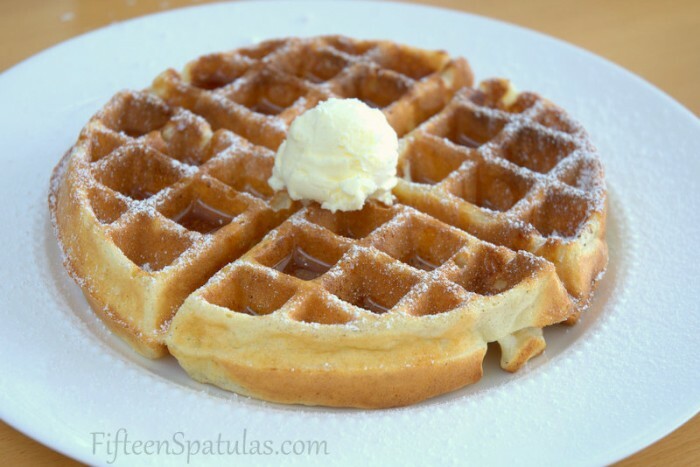 The addition of cornstarch protects the waffle from getting soggy from cooking steam. Vanilla is classic, but I love adding a little amaretto liqueur to the batter. It makes the waffles flavorful and aromatic, in a way that’s different from the norm. If you don’t have amaretto, make sure you at least use some vanilla or almond extract, so you get that nice flavor and aroma. Buttermilk is important for the same reason as #3…flavor. We all love substitutes, but be sure to use actual whole milk buttermilk from the store here, not vinegar curdled milk. It will make the waffles taste so much better. As good as your waffle recipe may be, if you have a cruddy waffle maker, you’re going to get cruddy waffles. I know this because I had one. One side would get completely burned, while the other side was underdone. It pained me to do so, but I threw it away and bought this flip waffle maker instead. Flipping the iron after pouring in the batter allows all the liquid to spread out evenly, and the waffle cooks evenly on both sides. Waffle Tip #6: Crisp 5 minutes extra in the oven if needed. If the waffles aren’t fully crisped when they come out of the waffle iron, put them in a 250F oven for 5 minutes, directly on the metal racks of the oven (not on a sheet pan). This will crisp the waffles even further and putting it on a rack will allow the steam to escape and prevent sogginess. Also try Cinnamon Roll Pancakes, Bananas Foster French Toast, Carrot Cake Pancakes for some fun and indulgent brunch recipes. If you want to go a little healthier, these 100% Whole Wheat Pancakes are shockingly delicious too. Enjoy! These waffles are crispy, golden, and fluffy on the inside. They’re perfect for weekend brunch or breakfast, and can be topped with butter, maple syrup, fruit compote, and more! Separate the egg yolks and whites, and beat together the egg yolks, buttermilk, vegetable oil, and amaretto to combine. 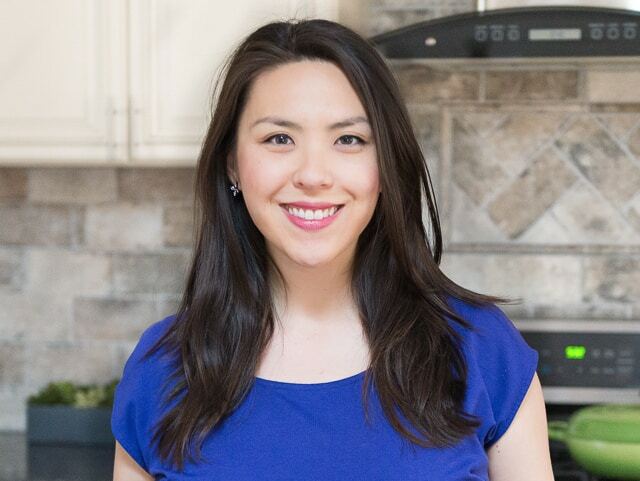 Whisk to combine the flour, cornstarch, baking powder, and salt. Set aside. 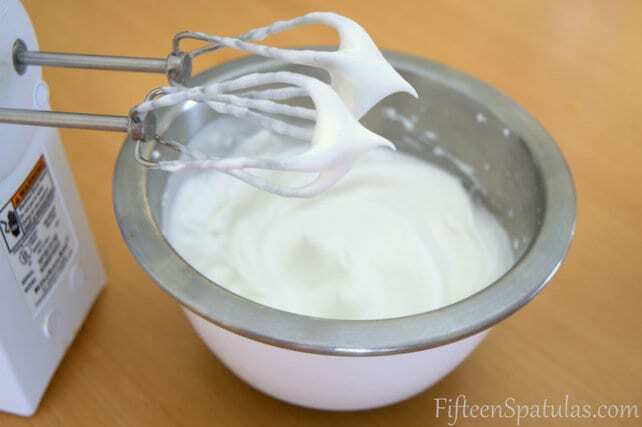 Combine the leftover egg whites with the sugar, and whip to stiff peaks (if you lift the beaters straight out of the egg whites, then invert the beaters, the egg white should stand up on its own as a stiff peak). 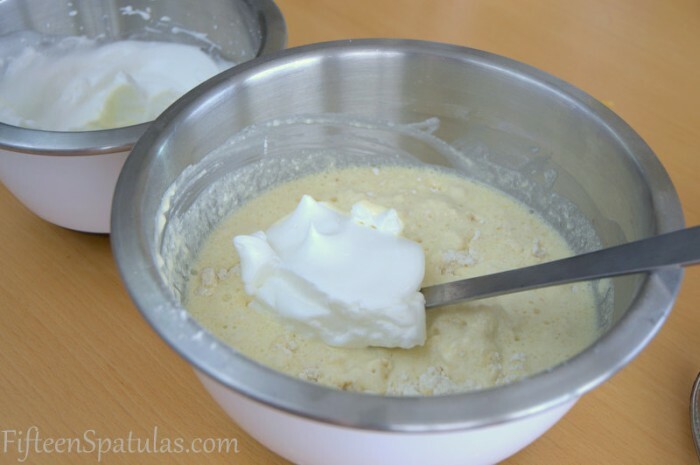 Stir the buttermilk liquid into the flour mixture (make sure the batter is still a little lumpy), then fold in the egg whites, being careful not to deflate them. 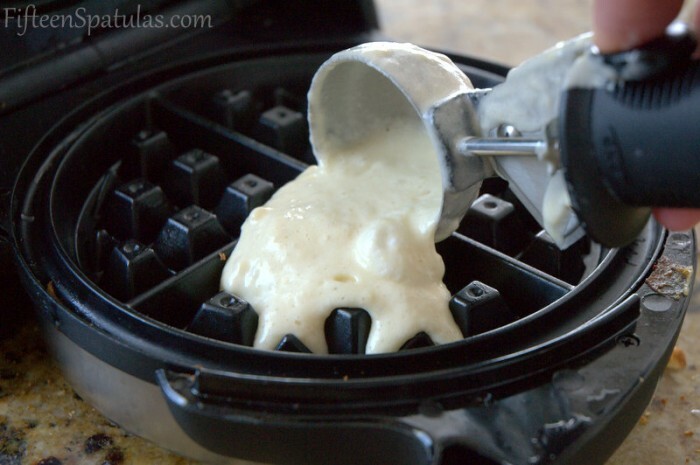 Pour the batter into a preheated waffle maker and cook for about 3-4 minutes. Enjoy! Note: If the waffles don't get crispy enough in your waffle iron, place them on a rack set on a baking sheet (or it can be the rack in the oven if it's clean) and bake in a 250F oven for another 5-10 minutes, until crisp. 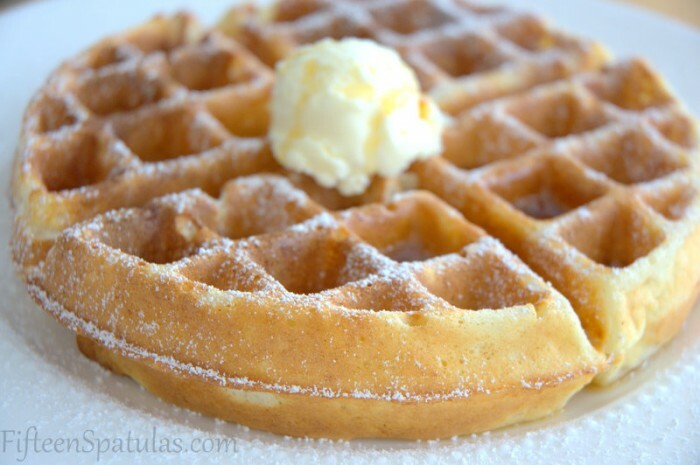 Finally, I have tried many recipes for waffles and hands down, this one is the best. So many recipes and mixes produce a soggy waffle. What’s the point of a soggy waffle, might as well have pancakes. These come out light fluffy and most important to me crisp. I tried this recipe and the waffles turned out great. Crispy from outside and airy from inside. Thanks much. I just wanted to ask you if I want to replace butter milk by regular milk, should I use same quantity ? These waffles were fantastic!!! I was even able to substitute flax milk for cows milk and they came out beautifully!!! Thank you for this crowd pleaser!! !